had a dressage lesson on Tucker today, and it went really well :) i still can't believe what this horse and i are able to do together, already! i'm so excited to see just how far we can go, when nobody thought i'd even be able to ride him... much less that we'd be perfect partners. it's pretty awesome. i love that it comes in a tube because you can get all the product out and it's much easier to control how much product comes out. i do wish there was at least a clear stripe on the side of the tube so that you could see how much was left inside... other than that, no complaints! the Light shade is ultra light, for the fairest of the fair. since i've actually got a touch of color (for me) because of all the time i spend outside, it's shockingly too light for me! i suspect this means that all the shades run quite light, as they only come in Light, Light/Medium, and Medium. if i have to choose between a face color that's too light or too dark, i prefer to go too light and darken it up with powders... so it wasn't a huge issue. 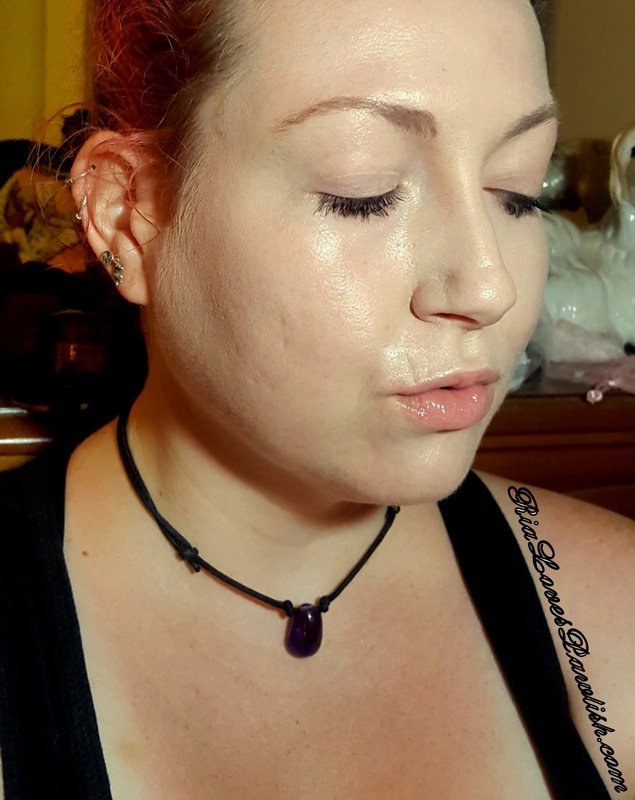 you get nice light to medium coverage with this BB Cream. it's buildable, so it's easy to get to medium with a second coat. i'm impressed how well it takes down the purple in my under eyes! if you have dry skin, it can cling on to dry patches, which is something to keep in mind if you suffer from that often. the finish is pretty luminous. but if you're into matte, it's easily powdered over. i love that this BB Cream has spf 15 along with 8 other skin benefits. unfortunately, my skin is just too oily to use this product as a regular BB Cream. i think this product is best geared towards pretty normal skin, since it can cling to dry patches and feel heavy and get cakey on oily skin. i do like to use it as a regular foundation, however, with a primer. my skin looks really lovely that way... plus, you're still getting the BB Cream benefits! 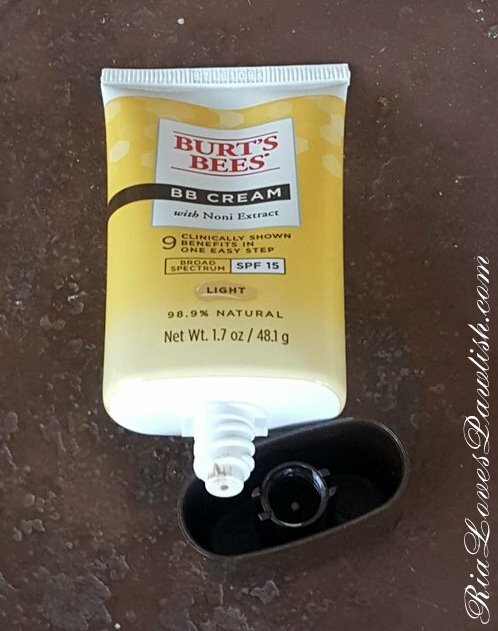 you can find the Burt's Bees BB Cream most places Burt's Bees products are sold, for around $15. i would probably grab it at Ulta... just because Ulta is my favorite :D it's $14.99 there, THIS is the direct link! 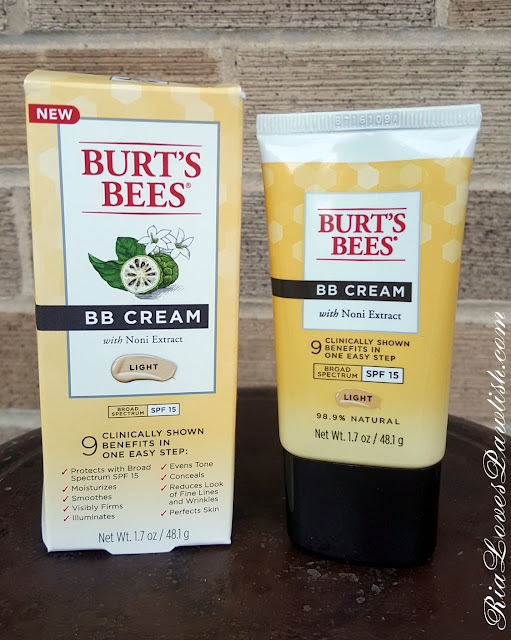 have you tried this BB Cream out? what did you think?